Super cute or super silly?! If it was something other than a mouse I would say risky but cute. But I just detest mice/rats/bags/bugs (and yes- they all fall into the same category in my book) so you would not see me sporting them about town. But make them a bunny and I might just say sure. NOt at that price though. I think I'm torn too. 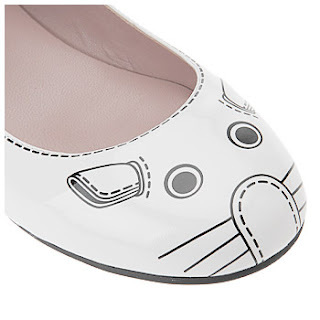 They are super cute, and when I was teaching Kindergarten, I would have been all over them (except for the whole price issue). But now...I don't know. I do love to throw some fun in fashion, though! 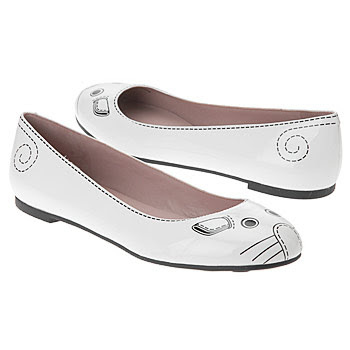 I think they'd be SO CUTE when paired with a more neutral outfit - say if you're wearing just a t-shirt and black pants/khakis (as opposed to a bright dress) they'd be adorable! Cute, but I wouldn't be able to pull them off. You'd have to do a really basic outfit for it to work, I think. They are the CUTEST! I say they are totally wearable (but to be perfectly honest, I'm a little "out there")! I love Marc, too but these shoes - not so much. Have I totally missed something in the design world? What's with this mouse thing anyway? New Markdowns at Isabella Oliver! A fun little Friday meme for youyou!